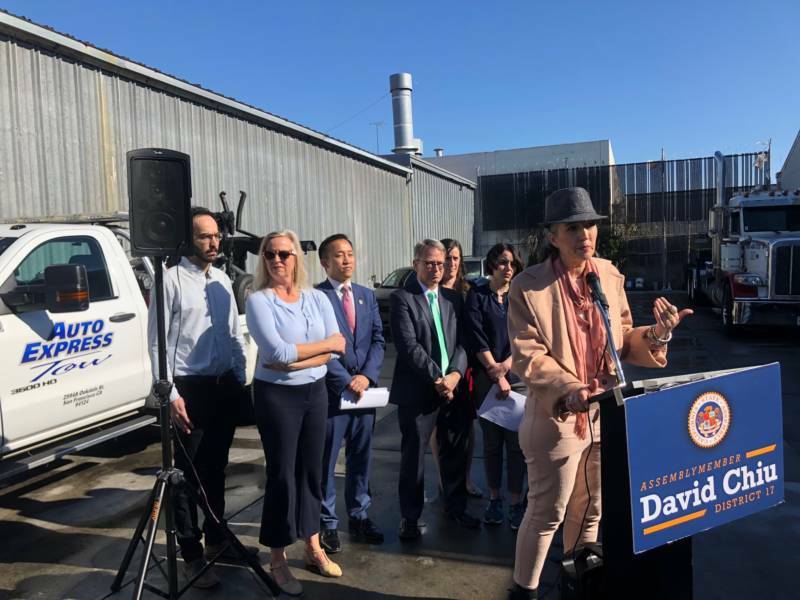 The report, “Towed Into Debt,” found that the top three reasons for towing — unpaid parking tickets, expired car registration or parking in a legal spot for more than 72 hours — disproportionately impacted low-income Californians, causing many of them to permanently lose their vehicle. The report, which included data on city-ordered towing practices across California, was released Monday. “If you don't have the money to pay your parking tickets or to update your registration, the idea that the state should be able to deprive you of the most valuable economic asset you have, which will cause you to lose your job, your livelihood or even your only shelter, doesn't make any sense to me,” he said in announcing the legislation at a San Francisco tow lot. 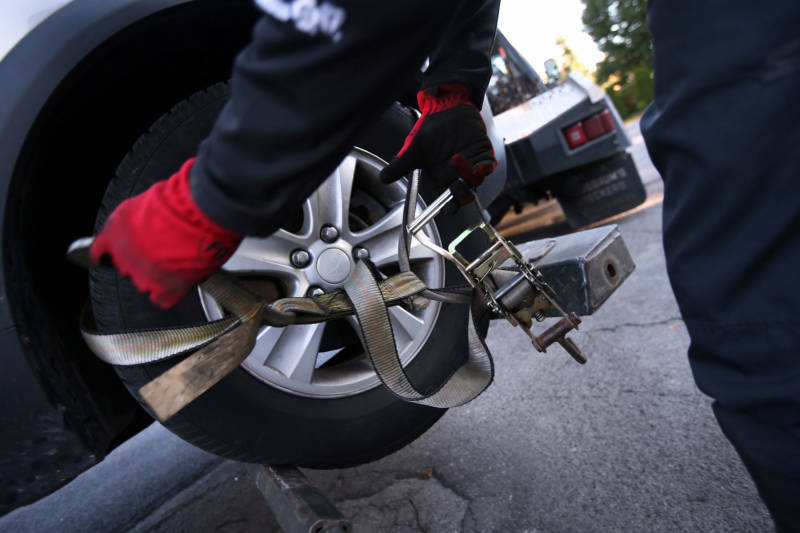 According to the report, vehicles impounded for the three offenses are up to six times more likely to be sold by towing companies than the average towed car. Cars that aren’t retrieved within 30 days are put up for auction in lien sales to offset the debt. 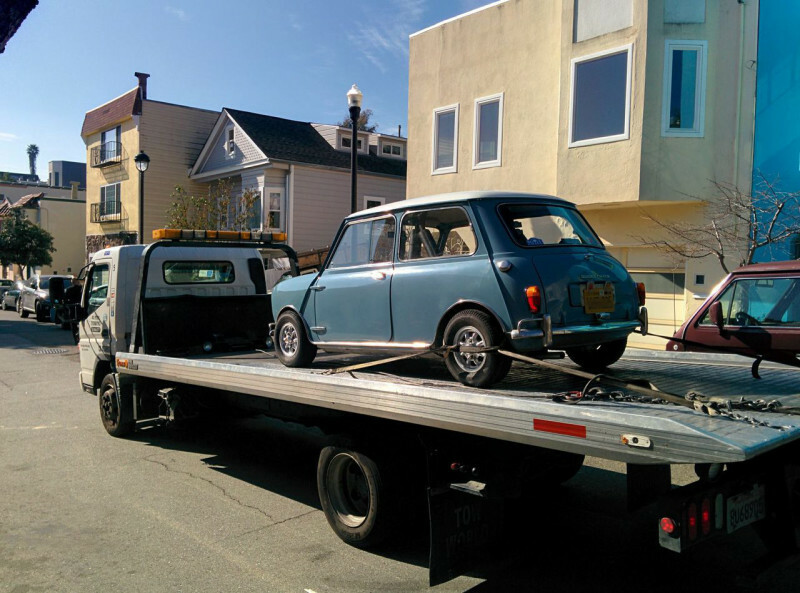 Why is Towing So Expensive in San Francisco? Before retrieving a car impounded by the city, the owner has to pay off all parking tickets and any registration fees. The report says that getting a car back can cost an average of $1,100. That’s what happened to Mary Lovelace, a former home improvement specialist: The city of San Francisco towed her car after they booted it for not paying parking tickets. Unable to drive to her clients, she said she couldn’t afford the fees to retrieve her car. “I was evicted because I couldn't pay the rent,” said Lovelace. She never got her car back and ended up declaring bankruptcy. She remains without a car and unable to work. Lovelace, who spoke alongside Assemblyman Chiu, said she hopes the bill passes so it can prevent others from being in a situation like her. City-ordered tows also drain money from local governments since low income residents are less likely to retrieve their cars from lots, the report found. And, revenue from a lien sale is much less than the cost to store and tow the vehicle, meaning municipalities and towing companies are unlikely to fully collect their debts. The California Tow Truck Association declined to comment to KQED about the new legislation.